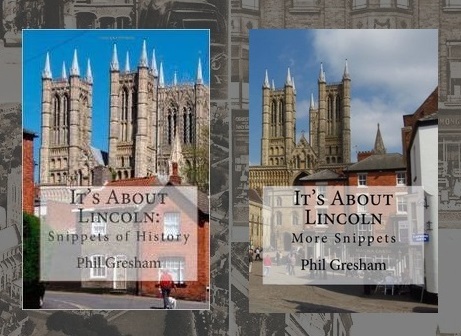 In this age of online and supermarket shopping it is hard to think of a time before national retail chains when the Lincoln shopper had a wide choice of small businesses from where to buy their food. Street markets are one the oldest forms of retailing and Lincoln had a good choice of such markets. The Meat Market was on the High Street, it stretched from Dernstall Lock to St. Lawrence's Lane, near the King's Arms Yard. This market moved in 1774 across Clasketgate (then known as Butchery Street) to an area called the Butchery; next to the earlier Crown Inn. The Butchery had shops on its periphery with stalls in the centre, it also had its own slaughterhouse. A cloth market, the Drapery, had existed on St Martin's Lane since the 13th century, it was then known as the Parmentaria. On Newland stood the Butter Cross, where other products such as milk and egg were sold. John Lobsey, Mayor of Lincoln in 1736, proposed that the Corporation suspend their Civic Banquet for 10 years in order to cover the cost of building a Butter Market that would offer protection from the elements. The Butter Market was built to the north of St Peter at Arches church, which stood on the corner of High Street and Silver Street. Before the building of the Buttermarket the Skin Market or Peltry occupied part of the site. If our Lincoln ancestors wanted to buy fish for their Friday dinner they would head for the fish market at Fish Hill (now Michaelgate), the market stood in the grounds of the present Chad Varah House, formerly the County Hospital. The fish market later amalgamated with the meat market at the Butchery. The Poultry Market was on the lower part of Steep Hill. Bread made from wheat was too expensive for the ordinary people, they would buy their bread ingredients from the oat market at the junction of High Street and St Mary's Lane (now Street). Unsurprisingly the corn market was on the site of the present Cornhill. This is where farmers would trade their produce. In 1847 the first Corn Exchange was built on the Cornhill, this building included space on the ground floor for market stalls, relieving the congestion caused by stalls along the High Street from the Cornhill to the Butter Market. A new building was erected to replace the Corn Exchange and market in 1879. The Butter Market was demolished in 1938 and the front facade was incorporated into the New Market, where it still stands today.